What are the Long Term Consequences of Untreated Heartburn? A case of hiatus hernia with severe reflux esophagitis – inflammation and ulcerations. Heartburn is a symptom of gastroesophageal reflux disease (GERD). That means there is reflux of acid and bile from the stomach and duodenum into the esophagus. This irritates the esophagus and causes symptoms in the short term and damages the esophagus in the long run. 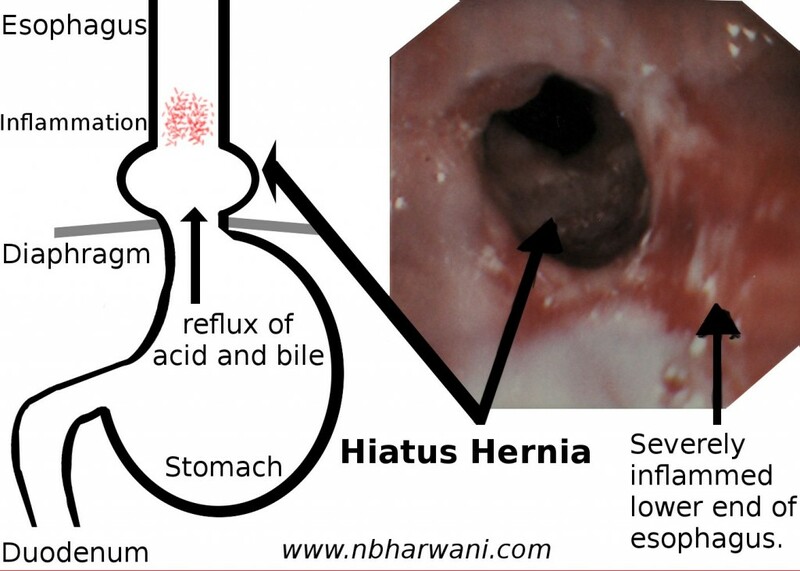 Reflux may be associated with or without a hiatus hernia. Children and adults are affected by this condition. Today, we will talk about adults with heartburn. The most common symptoms of GERD are: heartburn, regurgitation and trouble swallowing. Less common symptoms are: pain with swallowing, increased salivation (also known as water brash), nausea and chest pain. A person can have several other atypical symptoms associated with GERD. These symptoms are: chronic cough, laryngitis (hoarseness, throat clearing), asthma, erosion of dental enamel, dentine hypersensitivity, sinusitis, damaged teeth and pharyngitis. If GERD remains untreated then there are serious consequences leading to injury of the esophagus. You don’t want that to happen to the only organ which carries food from your mouth to the stomach. The damage starts with the condition called reflux esophagitis (see attached picture). Gastric acid and bile are toxic to the lining of the esophagus (epithelium) causing ulcers near the junction of the stomach and esophagus. This eventually leads to esophageal strictures – the persistent narrowing of the esophagus. It becomes difficult to swallow solid food and sometimes liquids if it is too narrow. The next change occurs in the form of Barrett’s esophagus called intestinal metaplasia (changes of the epithelial cells from squamous to intestinal columnar epithelium) of the distal esophagus. This is a premalignant condition. The final chapter in this ongoing saga is headlined with that ugly word – cancer. What starts with a simple symptom of heartburn can transform into cancer. The progression is slow but can be persistent if heartburn is not treated. Heartburn is a very common condition. Four to nine percent adults have heartburn daily, and another 10 to 15 percent have heartburn at least once a week. That means about 20 percent of the adults have heartburn on a weekly basis. Diagnosis is based mainly on symptoms. Endoscopy is required if complications of GERD are suspected. Barium studies are also indicated in some instances. Heartburn can be prevented by change in lifestyle: lose weight, change eating habits, avoid bending or straining, sleep with the head of the bed elevated (maximum damage to the esophagus occurs at night), no smoking, no alcohol, and take appropriate medications to neutralize or reduce acid in the stomach. 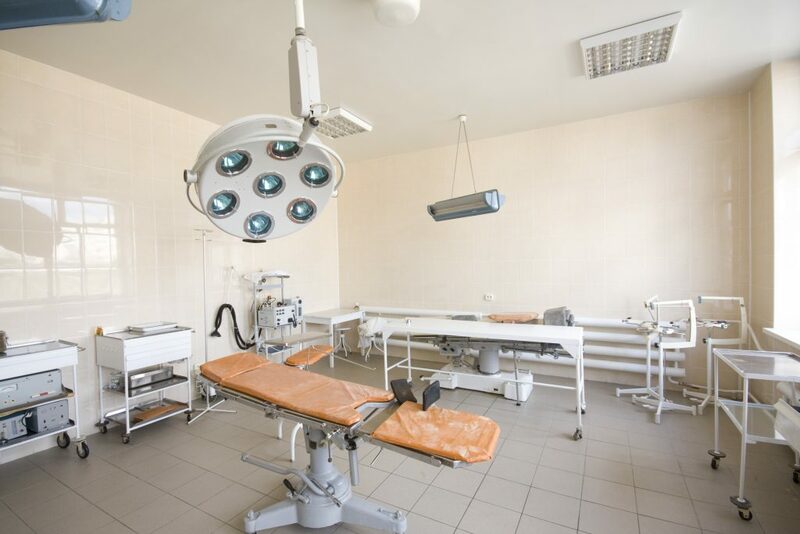 Surgery is also an option in patients with intractable problems or complications of reflux.